As I was sitting in the waiting room of a bus station and reading the last few chapters of “Brainwashing” I couldn’t help but wonder what might some passers-by think of someone reading a book with this title. I didn’t think much about it though, as the book occupied my imagination and thought. 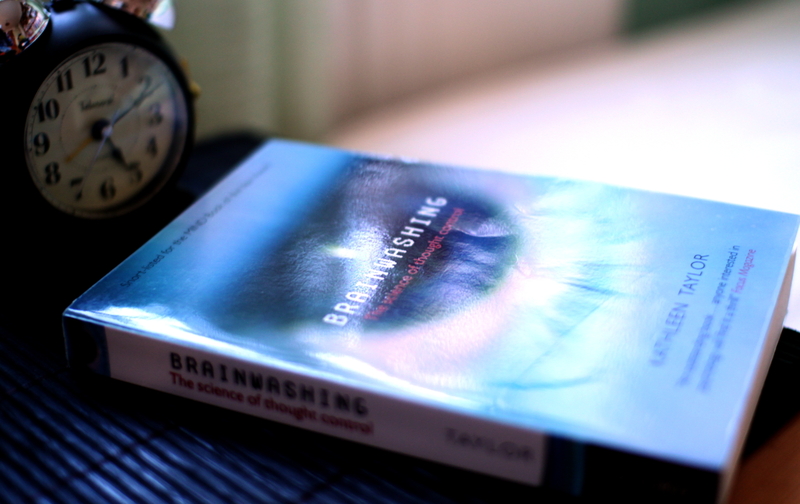 Brainwashing is the process of changing someone-s thoughts and ideas and maybe even they’re actions through different ways to make them more suitable for the so-called “influence technician” – someone, be it a person or a state that is trying to make people think differently. Brainwashing can be seen in several forms – it’s mildly present in advertising, but more strongly in totalitarian states and cults, where a person might seem to suddenly have changed their before strongly-held opinions about the matters of the world. The book starts with some examples of brainwashing, both from history and from fiction, making at least the beginning of the book not quite a good bed-time story. However as the examples have been read, the author continues in a (slightly) more cheerful way with describing the psychology and neuroscience behind this extreme form of influence. It is quite interesting, even when you might not be that interested in brainwashing, as the book gives insight into the nature of emotions and also to how the human brain works. I found it eye-opening, as Taylor also writes about how we can as individuals avoid being the victims of brainwashing. For all those interested in reading about technologies of the future – there are also some eerie ideas and descriptions of how brainwashing or thought control might be used in the future. This entry was posted in Non-fiction and tagged book review, Brainwashing, Kathleen Taylor. Bookmark the permalink.